“World’s Foremost Outfitter” is not just a title but the truth. Cabela’s is the ultimate sportsman’s paradise offering everything an outdoorsman could need or want for their outdoor adventure. The company has been rated the Top 100 Companies to work for in Fortune’s Magazine January 2000 issue. You can fill out a Cabela’s Application by clicking on the link at the end of the page. In 1961, Richard N. Cabela just happened to have a thought while he was at Chicago furniture show. He would take newly purchased fishing flies and sell them in the classifieds in the Casper, Wyoming Newspaper. His ad read “12 hand-tied flies for a $1”. He got one response. Disappointed but undaunted Richard and his wife tried a new tactic from there Chappell, Nebraska home. They placed a brand new ad in a national outdoors magazine that read “FREE Introductory offer! 5 hand-tied flies….25 cents….handling”, the response was overwhelming. From that one ad, Cabela’s was born. Mary and Richard would send out fishing flies and mimeographed catalogs of outdoor products with each item purchased. They ran their business from their kitchen table. Now, Cabela’s main headquarters is in Sidney, Nebraska at a 250,000 sq. ft. facility. The outdoor retail store trades under the name (CAB) on the New York Stock Exchange. They have 16,400 employees in over 60 locations spanning across the United States and Canada. Each store is an adventure with large aquariums, museum quality taxidermied wildlife, archery ranges, gun libraries, and restaurants. Are you an outdoorsman and a career person? 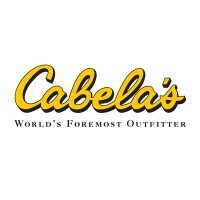 Then Cabela’s Careers may be the answer to a unique and fun corporate job in the outdoor retail industry. The company offers job opportunities in Customer Relations, Distributions, Information Technology, Marketing, and Merchandising. There are opportunities in management-level jobs such as manager, assistant manager, and department manager. If you have a love for everything outdoors and want to share your knowledge with customers, then Cabela’s Jobs may be the opportunity you have been looking for in a career. They have entry-level employment such as support services outfitter, customer services outfitter, and cashier. You can find an application form at their website. How old do you have to be to work for Cabela’s? All applicants for Cabela’s Jobs must have a high school diploma or equivalent and must be 18 years or older. Some positions may require someone with more retail experience so check with them when you fill out a direct application. Unfortunately, there is not a printable application form or a download application form. Cabela’s has a generous benefits plan for employees working for them. Different benefits apply to employees who work in America or Canada, check on their website under Benefits for details. They offer medical, dental, vision, and disability insurance. They have financial plans including 401 (k) plans, employee stock purchase plan, and college savings plan. They have paid time off, vacation, and team members get six paid holidays. Hours of operation will vary slightly depending on the local store. Hours are Monday thru Saturday 9:00 am to 9:00 pm and Sunday from 9:00 am to 7:00 pm. Hours will change during the holidays to accommodate holiday shoppers. You will be expected to work nights, weekends, and holidays. Find out the hours when you pick up your free application. Cashier-You will greet customers as they walk in. Inquire as to their shopping needs and direct them to the appropriate area. You will complete customers credit or card transactions accurately and problem-solve any customer problems to the best of your ability, if not call the manager on duty. You have open and close duties which entail keeping your area clean. A cashier’s wage is $9.50 an hour. Support Services Outfitter-Your responsibilities are to answer incoming calls, answer any questions, check for availability of requested items, send catalogs, and answer customer questions. You will process mail and fax employee orders and input marketing data. You must be able to prioritize multiple projects and meet deadlines. Your salary will be $17,000 a year. Customer Services Outfitter– You will greet customers and welcome them in a friendly manner. You will help guide them with your product knowledge and answer any questions they may have about the product. You will maintain the floor presentation by cleaning, mopping, or dusting the area. Your particular experience with the outdoors will determine which department you will work in. Your wage will be about $10.15 an hour. Department Manager-For every department, there is a manager that oversees the sales and profit goals. You will ensure your particular department complies with all visual presentation, inventory, policies, and procedures of the company. You will manage a team and distribute workload, hire qualified applicants, train and discipline them. Your salary will be $43,000 a year. When you apply for Cabela’s jobs online, it will be the perfect opportunity for you to think about possible interview questions. As you fill out an online application, your job experience will answer some of these questions. Why Cabela’s? Research the company online or even in person at the local store, consider the concepts and values that you like about the company. Make a list of reasons why you want to work there. Describe a time when you had to deal with an upset customer. Customer service is their main focus, and every company has customers that get upset from time to time. In your experience pick out the time you had an upset customer and how you were able to turn that situation around for the customer. Write down the steps, did you listen, did you repeat back the problem, how did you problem-solve the situation. What experience do you have for this position? Unlike other businesses, this company is unique, and they would love to hear about your love of the outdoors and your particular sport you participate in, such as camping or fishing. Also, relate your best experiences you had with prior jobs. What is your definition of superior customer service? Write down all the reasons for what makes a great customer service experience and how you are an example of good customer service. Are you willing to offer the Cabela’s Club Visa? The company offers a banking card for their customers. Would you feel comfortable talking to customers about the credit card? Describe a time when you participated as a team member? What was your role on the team? Create a script for yourself of what makes a great team member and how you fit that job description. How to apply for Cabela’s online, to apply for jobs at Cabela’s, you will need to click on the link below which will take you to their careers website. On that page, you will click the “careers” tab and a drop down menu will appear and then click job search. From there you will pick a country, location, and a keyword for the job that you are interested in. When you apply online, you will fill out a questionnaire with contact information and other questions. Unfortunately, there is no printable application for Cabela’s. Depending on the position for which they are hiring, it could take a few days to a few weeks to get a call for an interview. A Cabela’s application is preferred over a resume. For those on a corporate path, you will have a phone interview with the human resources department and then a one-on-one interview with a manager. New stores just opening will have either have a mass interview for all of the job applications or a local store, a one-on-one interview. If they are interested in hiring you, they will do a drug test via a mouth swab. Preferences are given to applicants who have six months to a year of related retail experience. For those interviewing for floor positions, show your particular interests and how you love to camp or hunt, etc. Unfortunately, they do no negotiate pay. You should dress appropriately for the position you are applying for. After the interview, thank them for the opportunity to meet and repeat your interest in the job. Williams Sonoma: See our resource page for more information on Williams Sonoma careers. Homegoods: See this page for jobs at Homegoods. Gander Mountain: See our guide for careers at Gander Mountain. Pottery Barn: Visit the job application for Pottery Barn to apply today. Modell’s: For employment at Modell’s visit the application page.